Letters to the Editor: NOT A MARTIAN INVASION! If you were in New York around 9 last night, as the sky lit up a brilliant shade of blue, you were probably asking yourself, "What the heck was that?" No, it wasn't an alien invasion or some out-of-control marketing stunt for the next "Avengers" movie. 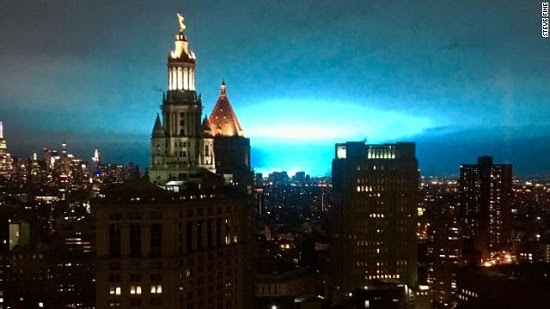 It was a transformer that blew up at a power plant in Queens, producing an eerie, glowing turquoise color that was visible for miles. The blast shook buildings, rattled windows and sent folks running into the streets. But thankfully no one was hurt in the explosion. There were some temporary power outages, and LaGuardia Airport closed for about an hour. New York police later tweeted that an equipment malfunction was the cause of the blast.